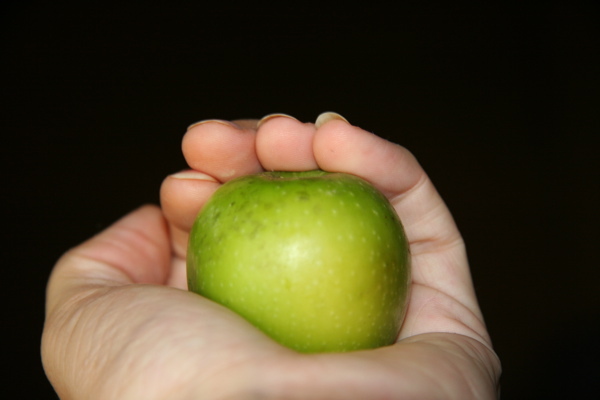 The variety you get with homegrown organic apples are amazing. 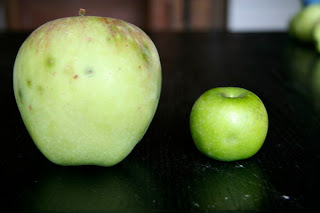 Above is our biggest and littlest apple together. Then just the littlest one to give perspective of size. It was the cutest littlest most sour apple ever. We have unfortunately lost a lot of our apples to coddling moth and even fruit fly. It is completely heart breaking throwing out kg's of fruit every day. We need to try and figure out how to manage these issue organically. Hopefully we can and fast. Once we have chooks and ducks free ranging the numbers of these pests should be significantly reduced.